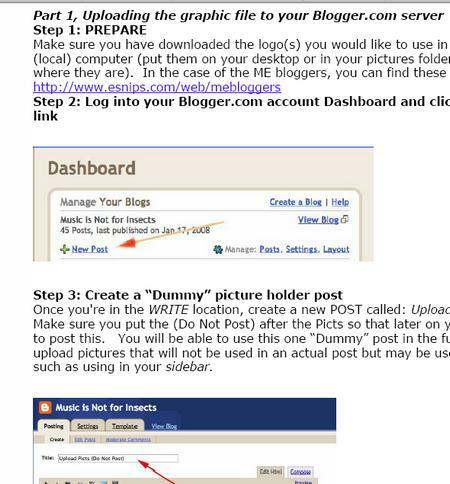 Our good friend and fellow music educator/ME Blogger, Ken Pendergrass, took it upon himself to modify the WordPress.com tutorial for the folks that use Blogger! Thanks KEN!!! To view the Mustech.net eSnips file server with the ME logos, click here. To go directly to the esnips folder with Ken’s tutorial, click here. To directly download Ken’s tutorial, click here. To find out what the 100 ME Blogger campaign is all about, click here. To view Ken’s great site, click here.